The Futaleufú river is known globally for its big volume and furious rapids. Until people visit and get to know the area they are often unaware that more mellow sections of the river exist. For those groups traveling with children, fishermen, or beginning boaters the lower Macal stretch makes for a nice float. On a sunny day the scenery is outstanding with views of snow capped peaks and the occasional condor siting. 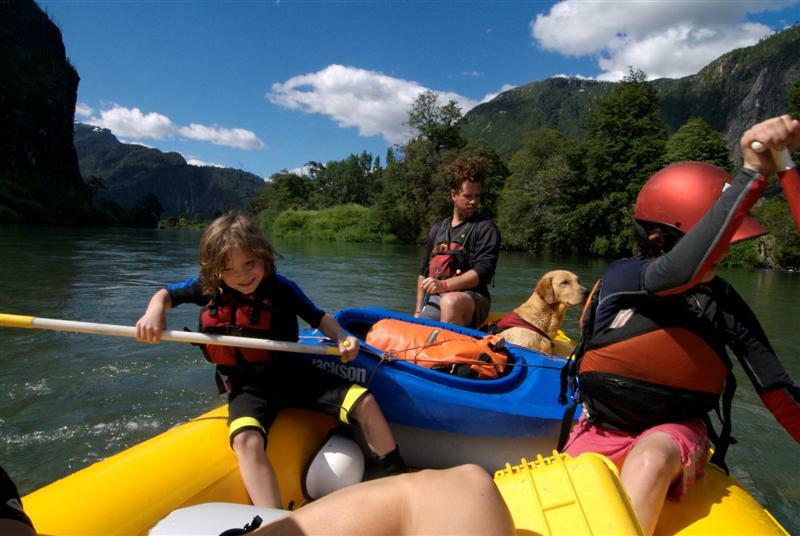 The put in is anywhere in the vicinity of the campground located alongside main Chaiten-Futaleufu road approximately 4 km below Puente Futaleufú. This is also the takeout for Casa de Piedra/Bridge to bridge section. It is an 11 km float to the takeout in Puerto Ramirez.